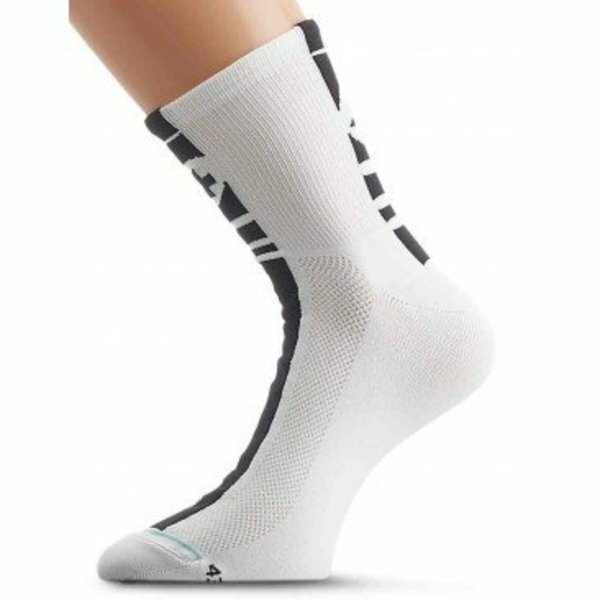 The Assos Mille SummerSock in white is a high performance, light weight, mesh summer sock with ASSOS signature style. High quality mesh fibres and weave for comfort, function, durability. This is a regular length sock with a 9cm rise. Your feet will be cool and comfortable for long periods in the saddle. Fast drying – good for multi day rides! Regular length cuff – 9cm rise.